To support learning through a role play area, we have made many resources for educators to use when teaching children all about a train station. 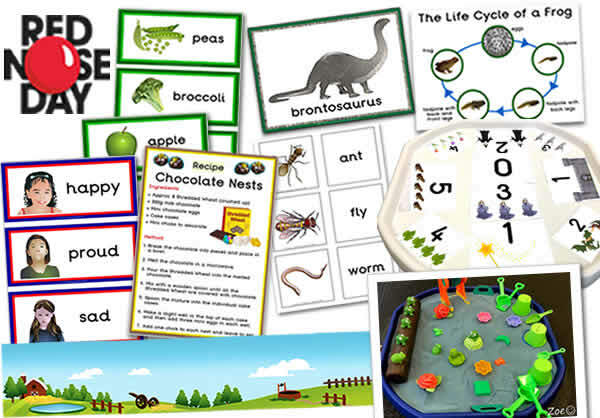 Many of the train station role play resources have been given a time saving double mounted effect, which will also save on your classroom stationary. There are many different educational resources, like shopping lists to encourage emergent writing in your role play area. Realistic British coins, notes, credit card and debit cards are available to download, these are great to help teach maths and to encourage children to learn about money when role playing in the train station cafe . 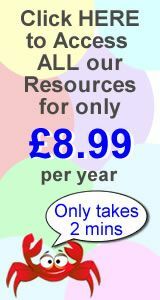 We have also made different products with prices on, which is fab to help children with their numeracy. There are price tags and special offer signs, which are great to help make maths lessons fun. Our opening times and train station clock are ideal to teach kids about the time. The role play masks, tickets, worksheets and badges would really help to bring your train station role play area alive! Double mounted effect, Train Station role play display banner. 2 X A4 sheets. Double mounted effect, three Train Station book labels on a A4 sheet. Add your own text in the editable version. Train Station themed tags/ labels, six per A4 sheet. Add your own text in the editable version. Train Station themed notice board and call again signs. Two A4 sheets. Role Play Train Station themed signs. Four A4 sheets. A4 Train Station clock poster, ready to laminate and apply clock hands using a split pin. Add your own text in the editable version. Double mounted effect, Train Station themed A4 opening times poster with o'clock times used. Add your own text in the editable version. Double mounted effect, Train Station themed A4 opening times poster with Quarter & Half Past times used. Add your own text in the editable version. Train departure times A4 poster with coloured text. Train departure times A4 poster for your train station role play. Double mounted effect, Train Station Cafe prices flashcards, prices between 1-20p, three per A4 sheet. Add your own text in the editable version. Double mounted effect, Train Station Cafe prices flashcards, prices between 21p-£99, three per A4 sheet. Add your own text in the editable version. Double mounted effect, Train Station Cafe special offer signs, prices between 1-20p. Add your own text in the editable version. Double mounted effect, Train Station Cafe special offer signs, prices between 21p-£99. Add your own text in the editable version. Train driver ID badges for your train station role play corner, four per A4 sheet. Add your own text in the editable version. Train Conductor ID badges for your train station role play corner, four per A4 sheet. Add your own text in the editable version. Cafe Waiter ID badges for your train station role play corner, four per A4 sheet. Add your own text in the editable version. Cafe Waitress ID badges for your train station role play corner, four per A4 sheet. Add your own text in the editable version. A4 train station role play Lost Property worksheet. A4 Train Station blank platform sign, with space to add your own station name. A4 Train Tube Station platform sign for your train station role play corner. Add your own text in the editable version. A4 worksheet, draw your train journey. Add your own text in the editable version. A4 sheet with a Train Station themed page border - no lines. Add your own text in the editable version. A4 sheet with a Train Station themed page border - wide lines. One fully lined and one half lined. A4 sheet with a Train Station themed page border - narrow lines. One fully lined and one half lined.